BB creams have hit the Indian beauty stores with a bang. 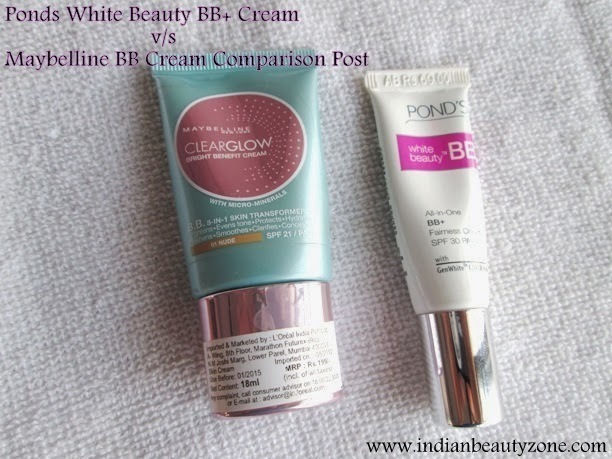 Today’s review is a comparison post between both of this Maybelline and Ponds BB creams. 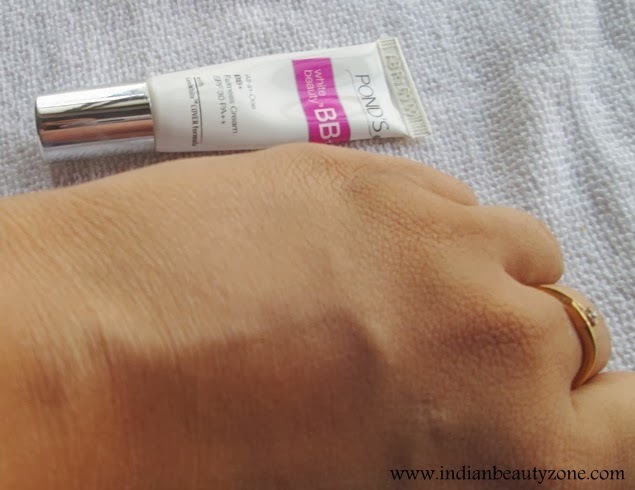 Read on to know more..
Before giving any view on these creams I would like to mention my skin type first. My skin is oily –combination . My skin becomes dry and flaky around the corner of the lips and also the area near the nose and cheeks become dry and flaky in winters. So for both the creams I need to apply a moisturizer. 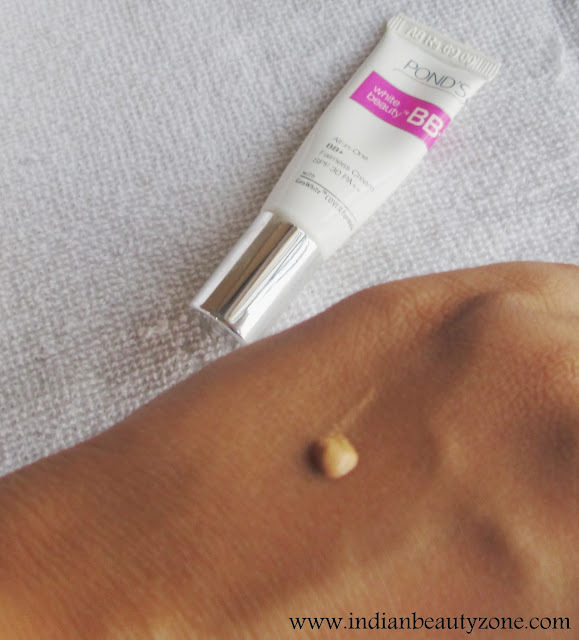 I apply the bb cream when the moisturizer is completely absorbed by the skin . Fragrance of both the creams is pleasant. 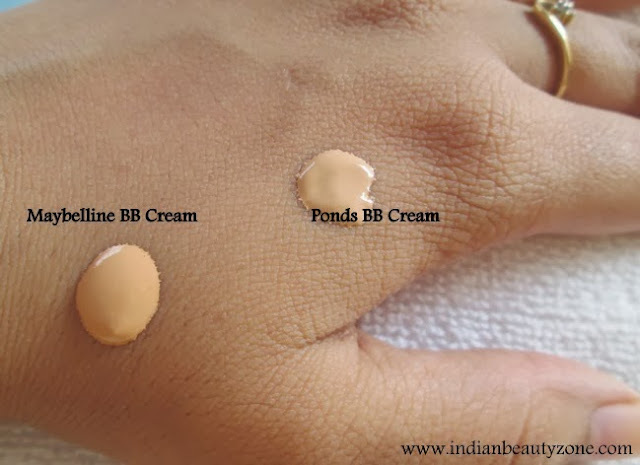 Maybelline BB cream has a fruity fragrance while ponds BB cream has a fragrance of that most of the ponds creams have. I cannot define ponds bb cream’s fragrance but it is for sure that its pleasant. 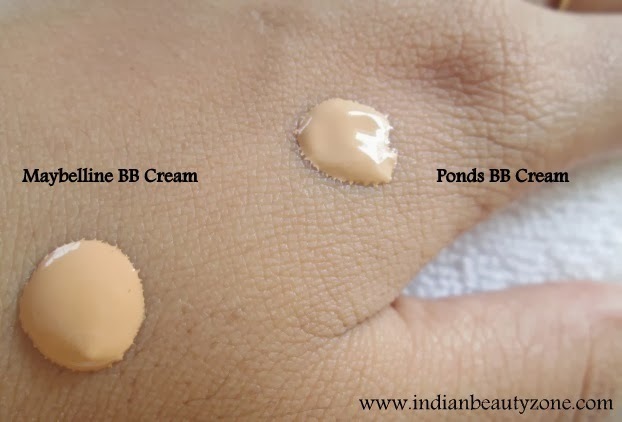 The texture of ponds BB cream at first sight looks heavy than Maybelline BB cream but ponds BB cream is so easy to blend while blending Maybelline BB cream can be tricky. You have to be really fast while blending Maybelline BB cream because it dries up quickly. If you try to build up for more coverage with Maybelline BB cream then you will end up looking cakey. 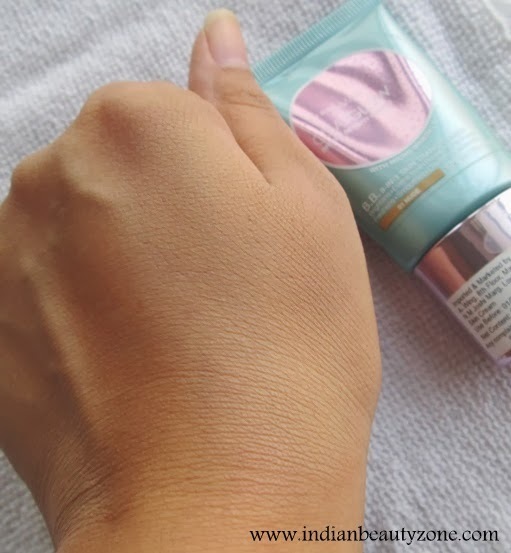 Maybelline BB cream leaves a white cast on my face I use my fingers to blend the creams, it provides light coverage by hiding minor flaws and brightens up my face. it evens out my skin tone but the claim of hydrating the skin is not true in my opinion. 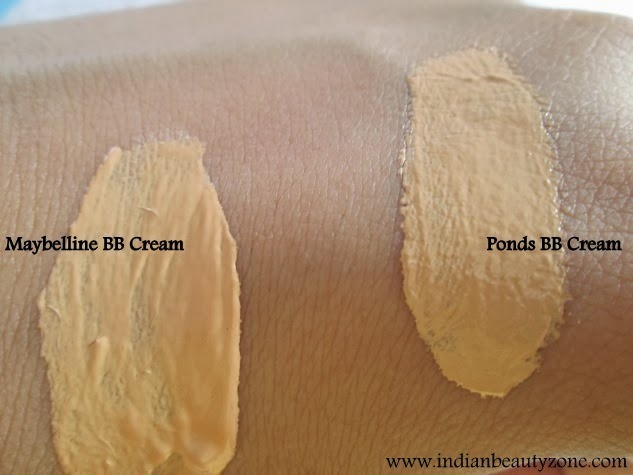 Ponds bb cream blends easily as compared to Maybelline bb cream. The coverage it provides is average. It will hide minor imperfections of the skin by instantly brightening up my face Only a little amount is required (pea sized) to cover my face. Bi usually apply the cream 10 minutes before stepping out of the house so that it is properly absorbed by the skin. For oily beauties powder is a must. I do use a powder over my ponds bb cream especially in summers when my skin becomes too oily. both the creams have never broken me out ever!! 2. 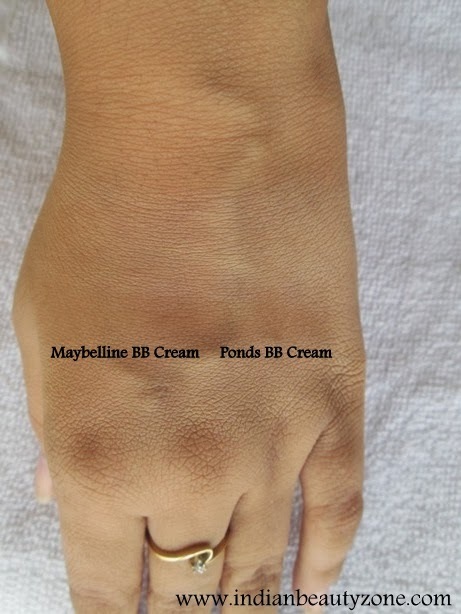 If you are good at blending fast then you can pick up Maybelline bb cream. I am not good at blending fast so my vote in this case goes to ponds bb cream. 6. Both even tones the skin giving it a fresh look. 7. Though none of them oxidized but if I try to build up then I end up with a cakey look. I hope you enjoyed reading the post and can now choose between the two!! Which one is your Favourite??? thnx navneet,,,,i use ponds bb everyday!! even i like ponds arpita!! Great comparison Radha, you are always so professional!!!!! Nicely written! Pond's is one of my favs too. Just that it makes my really oily.. Happy Diwali Radha and Bhawna! loved the comparison definitely trying ponds one in future! I like Maybelline better than Ponds as my skin type is dry and I think it's better than Ponds. Lovely Comparison Bhawna...I have to yet try the Ponds One!